CapitaLand Commercial Trust's NPI grew 16.6% y-o-y in 4Q18 due to contributions from the newly-acquired AST2 and Gallileo, which more than offset the loss of income from the divestment of Twenty Anson. DPU increased 6.7% y-o-y to 2.22 S cents. Limited upcoming supply of office space within the core CBD augurs well for continuation of uptrend in office rents. We expect positive rental reversion for AST2 in 1H19 and CapitaGreen in 2H19. 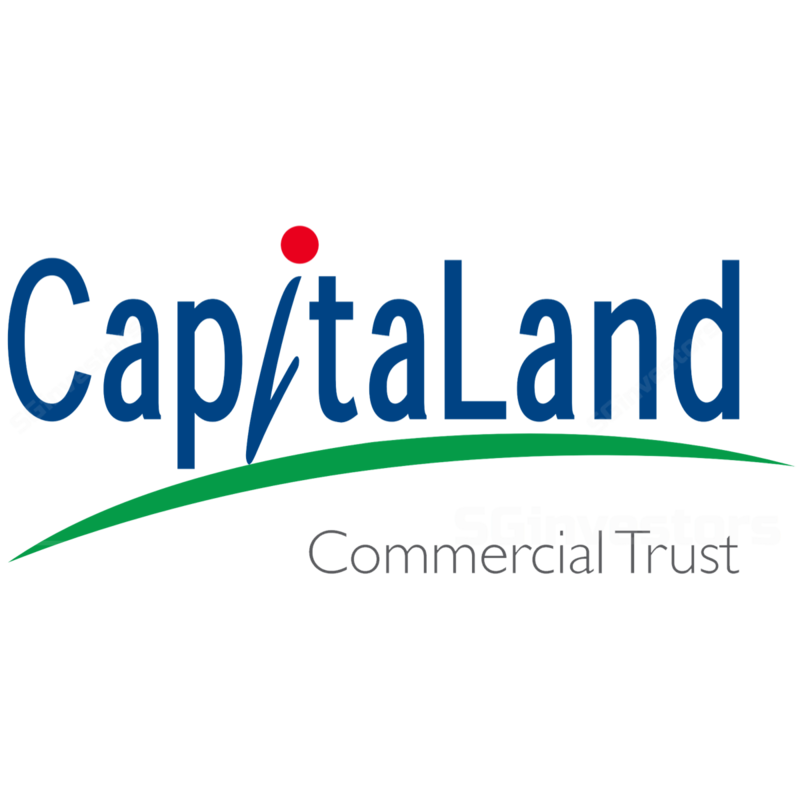 CapitaLand Commercial Trust will pursue investments in Singapore and Germany. Maintain BUY. Target price: S$2.16. CAPITALAND COMMERCIAL TRUST (SGX:C61U) reported 4Q18 DPU of 2.22 S cents (+6.7% y-o-y), bringing 2018 DPU to 8.70 S cents. 4Q18 gross revenue and net property income (NPI) grew 14.8% and 16.6% y-o-y respectively due to contributions from newly-acquired AST2 and Gallileo, which more than offset the loss of income from the divestment of Twenty Anson. The results were in line with expectations, with 2018 DPU representing 100.7% of our forecast. Locking in tenants ahead of lease expiry. CapitaLand Commercial Trust signed 1,022,000sf of leases during 2018, of which 22% were new leases. Tenant retention ratio is high at 77%. New leasing demand came from diverse business sectors, such as real estate & property services (includes co-working space operators), business consultancy, IT, media & telecommunications, financial services, energy, commodities, maritime & logistics and manufacturing & distribution. Around half of the expiring leases in 2019 have also been committed. Positive reversions achieved for majority of buildings. Six Battery Road (ranges from - 8.7% to +9.0%) and One George Street (+0.8% to +11.0%) saw some positive reversions (committed rents vs average expired rentals), while CapitaGreen’s (-17% to -4.6%) was negative. Occupancy for CapitaLand Commercial Trust's Singapore portfolio is 99.3% (3Q18: 99.1%), significantly above market occupancy of 94.8% for Core CBD. Vacancy rate for the Singapore portfolio is very low at 0.6%. Occupancy for Gallileo located at Frankfurt remains unchanged at 100%. Frankfurt office vacancy hit a record low for the past decade at 7.8% in 4Q18 (banking district: 3.9%). Aggregate leverage declined to 34.9% in 4Q18 (3Q18: 35.3%). In 2018, CapitaLand Commercial Trust concluded S$2.2b of debt financing. The weighted average term to maturity was 3.9 years (+8.3% q-o-q), and average cost of debt was 2.6% (flat q-o-q). Positive rental outlook for Singapore offices. According to CBRE, Grade A office rents rose 14.9% y-o-y to S$10.80psf pm in 4Q18. Market rents are expected to continue trending upwards, although at a slower pace of 8-10%, in 2019. CapitaLand Commercial Trust should achieve positive rental reversion in 2019 and 2020 because the average rent for leases expiring is S$10.46psf pm and S$9.59psf pm respectively, which is lower than existing market rents. CapitaSpring on track for completion in 1H21. CapitaLand Commercial Trust has secured JPMorgan, who committed to 155,000sf or 24% of office NLA, as an anchor tenant at CapitaSpring. The marketing show suite would be ready in 1H19. Leasing activities would commence over the next few months. CapitaLand Commercial Trust has the option to acquire the remaining 55% of CapitaSpring from its JV partners CAPITALAND LIMITED (SGX:C31) and Mitsubishi Estate Co within five years after TOP. Management sees HSBC Building (21 Collyer Quay) as a gem with a 999-year leasehold and located at the heart of Raffles Place. The immediate plan is to refurbish and fill up the building with new tenants. Management is assessing work requirements so as to finalise the capex required. Over the longer term, management hopes to unlock value for the HSBC Building through redevelopment or divestment. Expanding in developed markets within Europe. We expect CapitaLand Commercial Trust to add scale and depth to its presence in Germany. There are opportunities to expand to other gateway cities in Germany, such as Berlin, Munich, Hamburg and Dusseldorf. Management seems keen on expansion in Berlin due to rapid growth from the technology sector and redevelopment of older office buildings, which deplete supply in the near term. CapitaLand Commercial Trust is able to create a partial natural hedge by borrowing locally in Euro. Management intends to pursue investment and value creation in Singapore and Germany. CapitaLand Commercial Trust intends to be anchored in Singapore and will cap exposures to overseas markets at 20% of deposited properties. We fine-tune and tweak our 2019 DPU marginally higher by 0.3%. We roll forward our valuation to 2019. Our target price of S$2.16 is based on DDM (required rate of return: 6.25%, terminal growth: 2.0%). Higher office rentals and positive newsflow on leasing activities. More accretive acquisitions in Singapore or Germany.